Glad you both enjoyed the pic's, morag and bonzo. Posting my reply below in here as it's not really about the Arran Ferry. Not doubting your own recollections's in any way Bill, but personally speaking I don't really recall the Ormidale's Bar or Greenhouse lounge being particularly 'rough'. Sure, you'd get the odd one or two dodgy drunken character's, particularly during busy holiday periods, but you could get that almost anywhere at times - Brodick Bar and the Douglas included. The overriding memories I have of the place during the mid 70's are all good. The Jukebox in the Greenhouse belting out the Eagles 'Hotel California' .. or Lynyrd Skynyrd's 'Freebird' along with many more classic songs. Then there were the numerous impromptu but often excellent guitar and vocal renditions etc from folk who were simply out to have a good time - that's the way I'll always remember the Ormidale. Last edited by michaelm on Sun Nov 19, 2017 11:43 am, edited 1 time in total. The greenhouse was a must! Never saw any trouble in it, only thing, on a warm day, condensation dripping into your booze! Usually had a good singalong going...happy times. I'm glad you have fond memories of the Ormidale and yes its true that mostly it was ok but I was there a few years before you and some of those Glaswegians then were out for trouble . I remember mostly good times . Mid to late 60's, no problems. One trip over my 2 sisters, neice and I got drookit on the way there, typical! Torrential rain, then dry..my wee sis had a brolly, up doon, up doon! The two of them were walking ahead of me an my niece and their body language and mutterings had me barely able to walk for laughing! When we got to the hotel had to walk through the public bar, dripping wet...got a few amused glances, my sisters still hunched over, scowling, ladies room..my sis's using the hand drier to dry their troosers...priceless! Actually-Michaelm-That must have been Heaven. Loved it..but a bit before your time! That's exactly my memory of Arran in the early/mid 70s, altho' our hangout was the Whiting Bay Hotel during 3 days' camping, when the the bar door was locked 5 minutes after opening at 11am because it was already full up. Yes, Morag- Missed out as i seemed to drink in the pubs in Lamlash,Whiting Bay and the Kildonan Hotel in the seventies. In the 80's i took a few fillies up to Arran and visited the Ormidale. 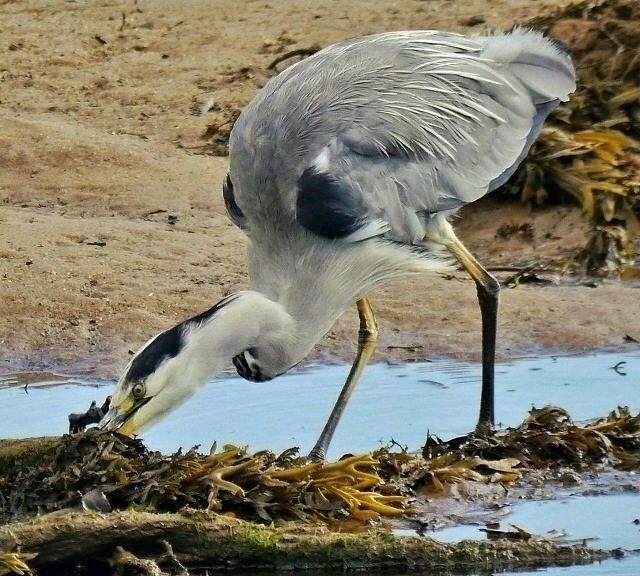 Snapped this photo of a Grey Heron close to Brodick shoreline on a trip to Arran in 2013. 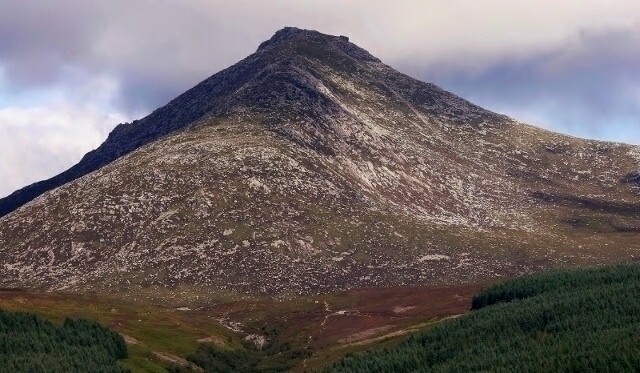 And also this view of Goat Fell.